Are you a budding artist? Are you looking for the right course that teaches you how to draw your in your favourite art style? Here are a number of Free Apps in the Play store that are ready with lessons which teach you exactly the way you want. Take a look and pursue your passion of art through your Android device. I had an internal wish since my childhood to learn drawing, but never took it seriously as I had more serious matters to pursue. It is my kid from whom I came to know that I can learn drawing from my smartphone. I was overjoyed and started looking for apps to find out which could be the best. The reason to be so happy was more than one. Firstly I saw these apps to be quite preparatory which could come handy if you are going to pursue the career of an artist. Then, there is scope where you can choose the type or subject on which you are interested to draw. And then, you can repeat an act as many times you want without feeling embarrassed about it. Read on for the details of these apps if you share the same feeling as I do. Myth Logic Apps has come up with this interesting app which provides a step by step help for learning to draw a sketch of a face or all face fundamentals. It teaches every part of the face in different dimensions. Here are the details or to be more specific its features. It teaches to Draw Face through simple steps and with the latest sketching techniques. 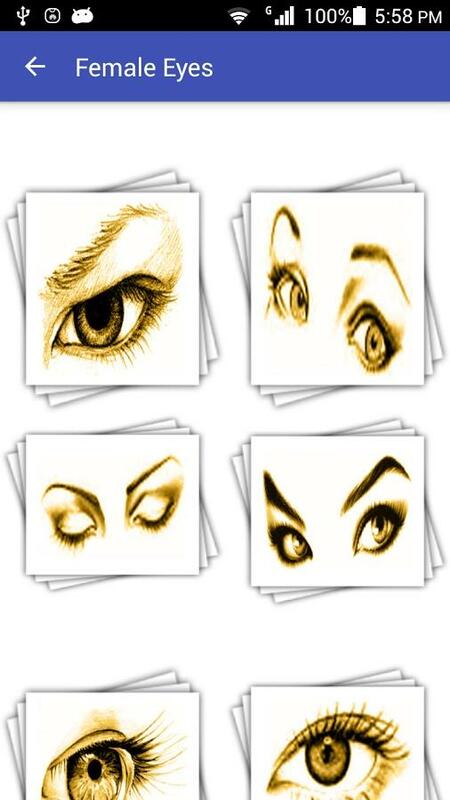 The lessons on eye drawing teach the basics of sketching and drawing. Each and every step of the drawing app is progressive in nature that develops your skill in sketching. There are different sections for drawing different parts of the face like Eye, Ears, Lips, Nose etc. Once you install the app, you would be prompted to choose from a list of sketch types. Clicking the one of your choice, you can get started in no time with one by one step to draw the subject. And you can repeat the entire process as many times you want till you are satisfied with your own result. It is recommended that you keep practicing the steps on your own once you have learned the basics. 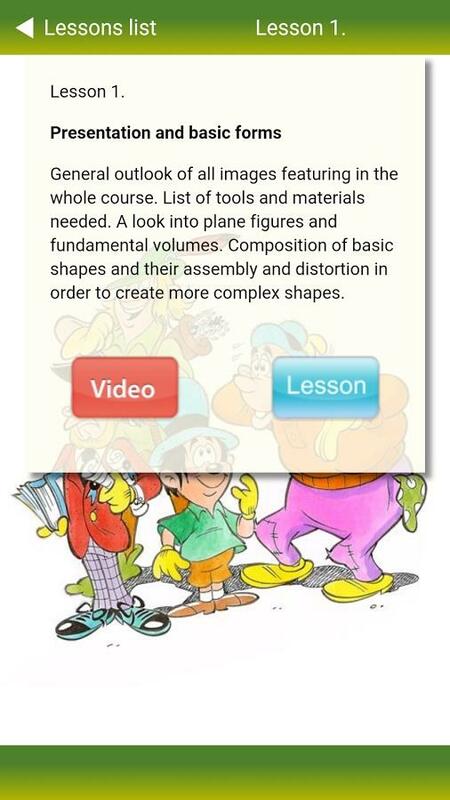 This app from StudioOne has focused on teaching different subjects in Three Dimension (3D). When I took a look at the demo pics of the app, it was a jaw dropping experience and the app was tempting me to leave whatever I was doing and just jumpstart with the lessons. Here is what you get to learn in the app. Each picture can be Zoomed In and Out to get more details. 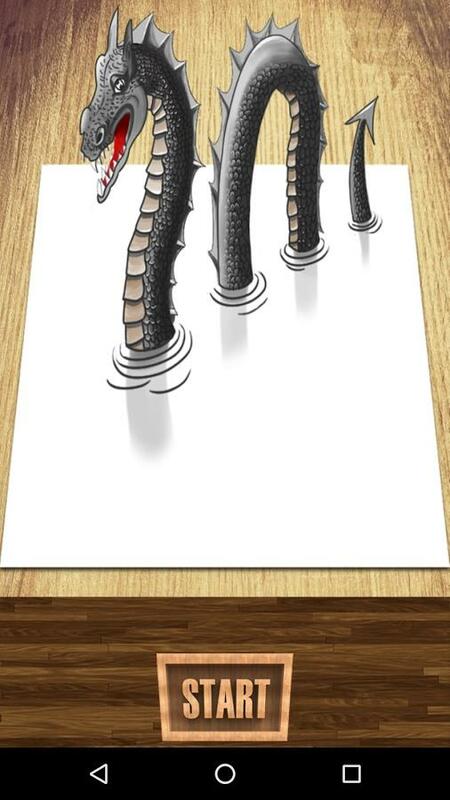 The app consists of advanced drawings lessons like Optical Illusions and the like. You get separate lessons on each species including realistic and imaginative ones like, Elephant, Crocodile, Wolf, Snake, Spider, Sharks, Goldfish, Loch Ness Monster and a lot more. The StudioOne group has got a number of similar apps on 3D drawing that focuses on different subject separately. Browsing through the app, it appears that the developers have given their best to teach 3D drawing, and getting to learn these amazing steps free of cost is an amazing gain in itself. The app focuses on making things easy. It doesn't expect any prior knowledge of drawing from the users. One can simply go to the lessons and start drawing instantly. One can choose from the different styles of drawings according to their interest or taste, like, Realistic, Anime or Cartoon. The app teaches you to draw both animate and inanimate objects like, animals, humans, objects, scenaries etc. It is a self educating app ideal for the ones who want to learn drawing as their passion. Each lesson is having a number of easy steps to follow. With this app one can practice drawing on the paper or directly on the screen. I found the app really useful specially for the kids. As there are different styles of drawing, one can choose to learn either or all of these types depending upon the level of interest and learning capabilities. 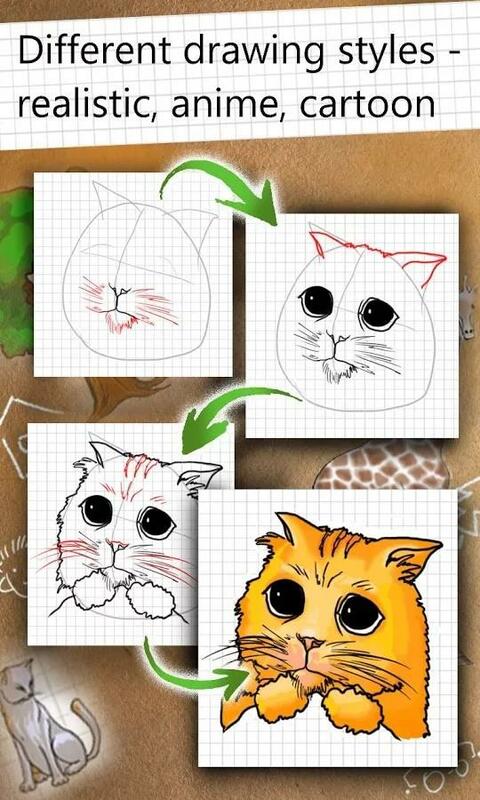 Gato Apps are here to give you lessons on tattoo making. So if you are going to try your hand in this trendy art, all you need to do is install this app or of its kind and start the lessons. This particular app caught my attention because of its features that has gathered some unique subjects and style of drawing them. The step by step guide would leave you with an expertise, and you could be all ready for a tattoo outlet and start earning. 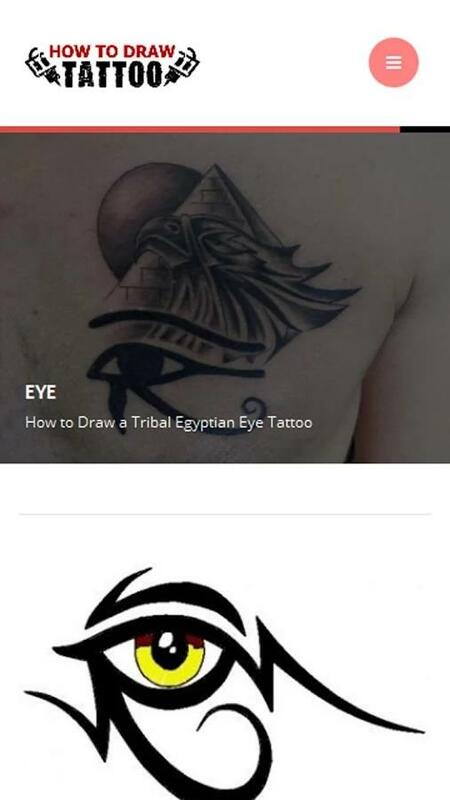 The app teaches how to draw tattoos of different items of different cultures like a Tribal Skull, a Tribal Egyptian Eye Tattoo, a Tribal Winged Wolf Tattoo and more. This is definitely an app with a style, and it has chosen a few unique styles of drawing tattoos. It is a basic selflearning app that would come handy for tattoo designers. This Comics drawing learning app from PozzerVolani is a course through video presentations teaching you how to draw comics. The app has 10 lesson units. Each of these lessons include a video of 30 minutes duration where there is also a descriptive text illustrated through explicit images. The app has unique Presentation that teaches you the basic forms. You also get to learn how to draw Shadows and Perspectives. There is a separate lesson for Anatomy in cartoon style. It teaches how to draw body in movement in cartoon and in animated styles of drawing. Teaches Speech balloons, Onomatopoeia, Visual metaphors. It teaches Framing and composition of cartoons. These are those few from the lengthy list of "how to draw" apps for Android which have been shortlisted on the basis of higher ratings than the others. But there are even more on the queue that can catch up with the interest of a budding artist who is keen on pursuing his artistic skills.